Home/PRODUCTS/AUTOMOTIVE/AUTOMOTIVE PRODUCT RANGE/4WD'S, CARS, UTES & COMMERCIALS & BUSES/Suitable for TOYOTA/Suitable for HILUX/Suitable for HILUX "Current Model" from (07/2015 onwards)/ Suitable for HILUX - WORKMATE - DUAL CAB and X-TRA CABS - JULY 2015+ "Current Model"/Black Duck Seat Covers - FRONT - Driver & Passenger Buckets (Set) - Suitable for TOYOTA HILUX WORKMATE, SR & SR5 - XTRA Cab & DUAL Cab - NOT SINGLE CABS - 8Gen from 07/2015 onwards. 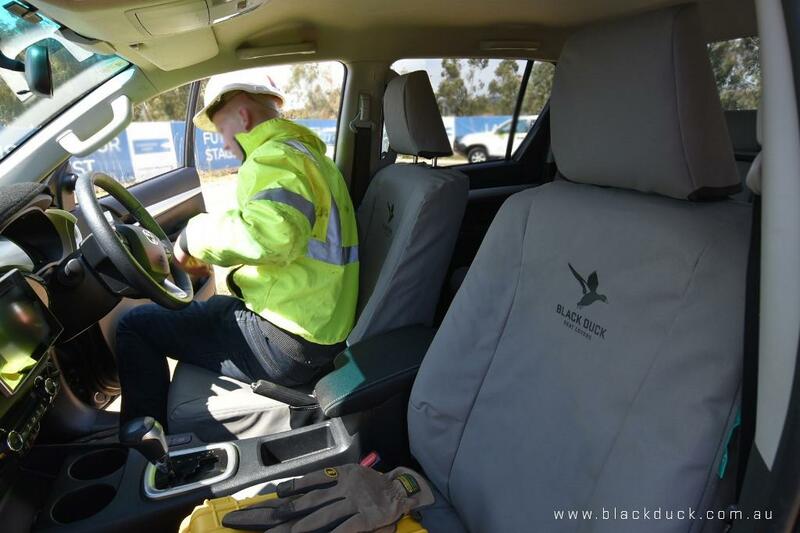 Black Duck Seat Covers - FRONT - Driver & Passenger Buckets (Set) - Suitable for TOYOTA HILUX WORKMATE, SR & SR5 - XTRA Cab & DUAL Cab - NOT SINGLE CABS - 8Gen from 07/2015 onwards. 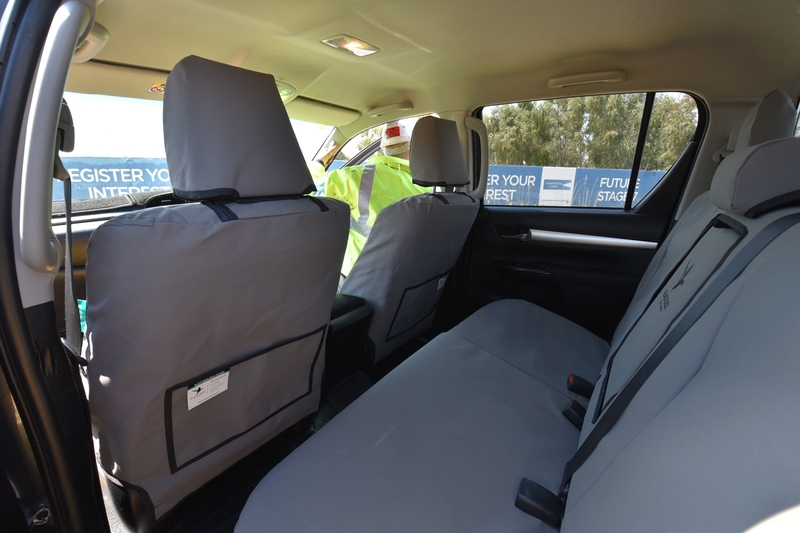 We guarantee you will receive the correct custom designed Black Duck seat cover suitable for current model Toyota Hilux Workmate, SR & SR5 when you correctly fill out our online "Confirmation Form". A link to this form is emailed along with your Tax Invoice immediately after your payment is received. 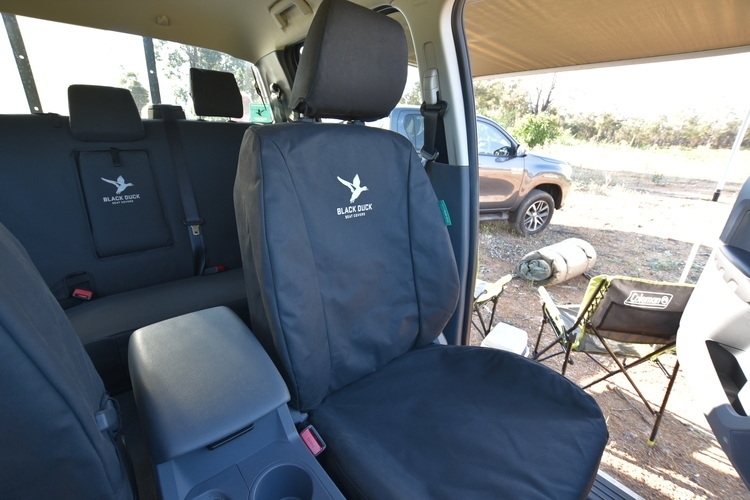 Black Duck™ Seat Covers - suitable for TOYOTA HILUX - SR, SR5 & WORKMATE 8th generation we offer colour & fabric selection a huge range and competative pricing for Canvas & Denim seat covers suitable for your Dual Cab and XTRA Cab Hilux - GUN126R, GUN136R, GGN120R, GGN125R from 07/2015 on, 2016, 2017, 2018, 2019. Suitable For: Toyota Hilux SR, SR5 & WORKMATE. 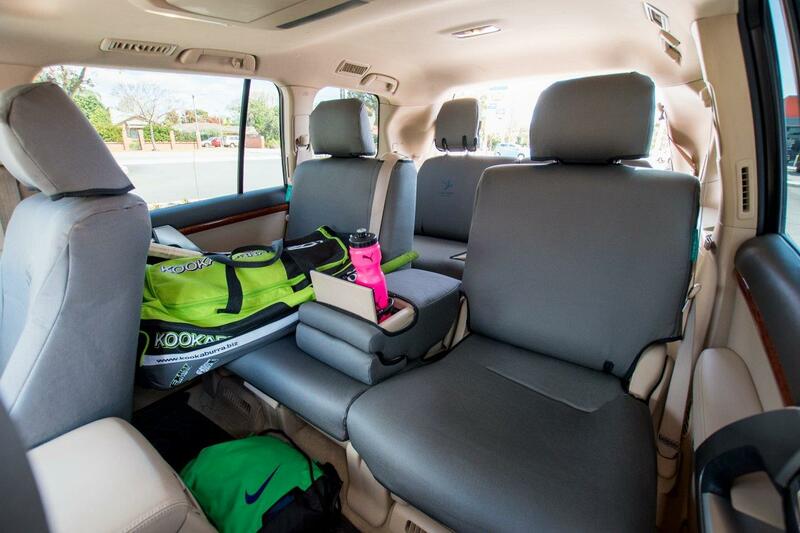 Variants: Dual Cab - XTRA Cab - (NOT for Single Cab). 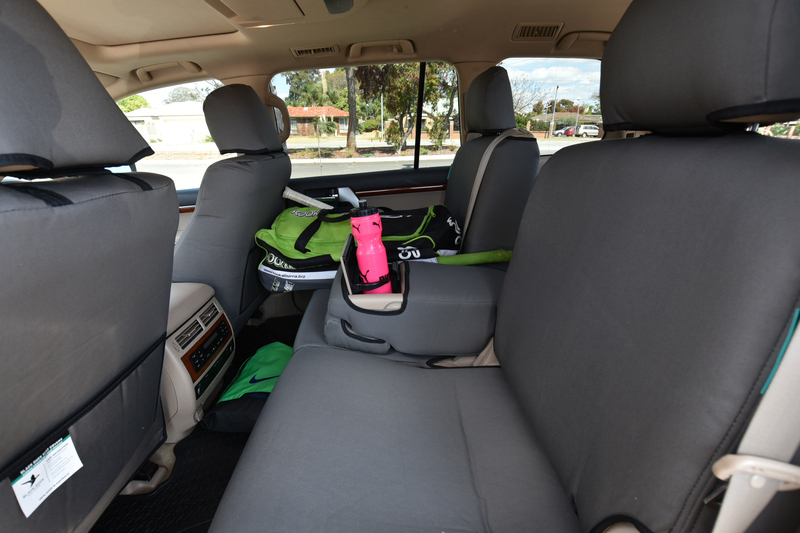 Seat Type: Front Driver & Passenger Buckets (pair). 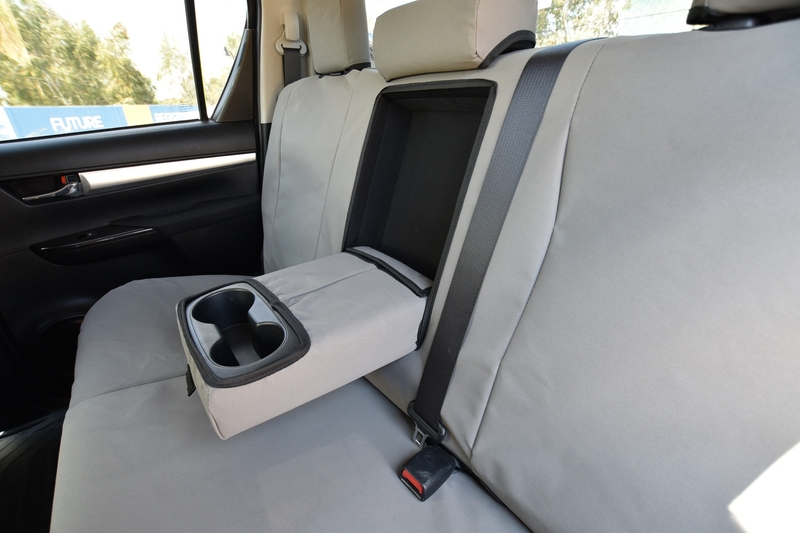 The use of the right mix of Polyester (the strength component) means these seat covers have a very high strength rating, they are extremely durable and hard wearing and are suitable for Toyota Hilux 8th Generation Dual Cab and XTRA Cabs. So in effect Black Duck Denim products offer the same Black Duck quality as Black Duck Canvas but with extra style and extra comfort! Now with the development of its new product range the number of Black Duck fans is set to grow. 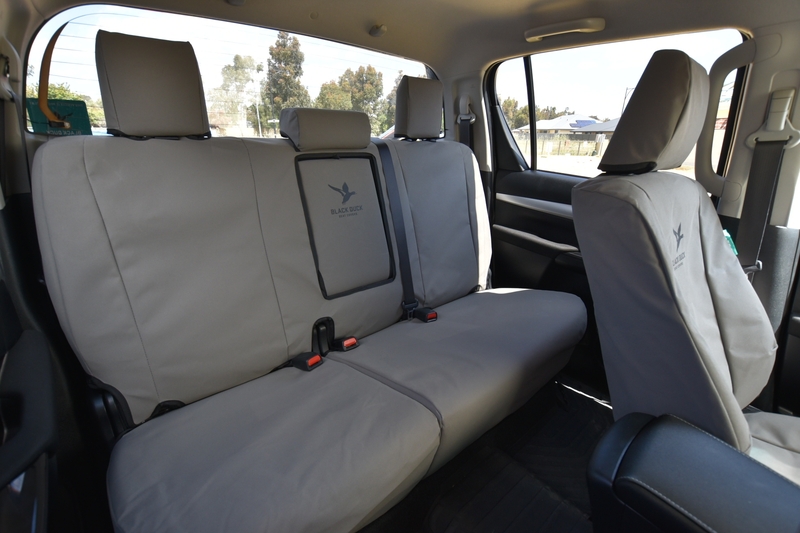 After all it makes sense, whether your preference is canvas or denim, Black Duck Seat Covers add style comfort and long-term protection to your vehicle seats. 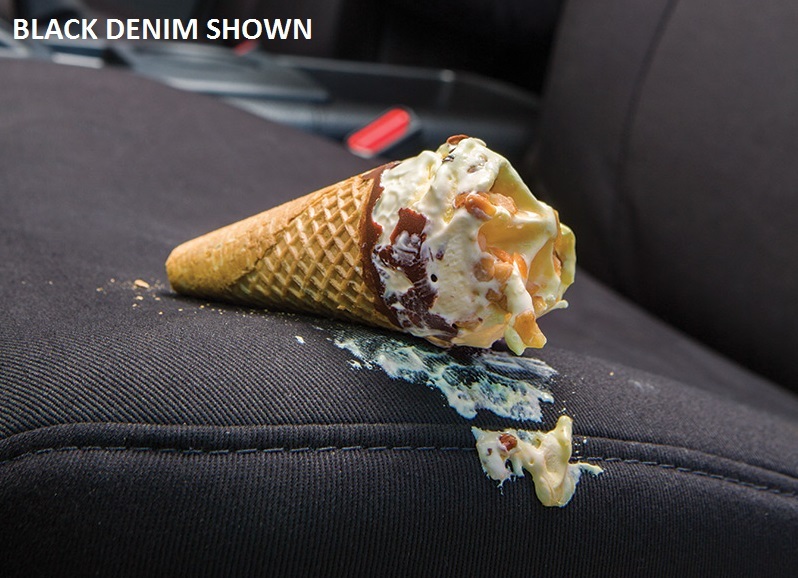 Sample image only and may not be of the covers you are considering. 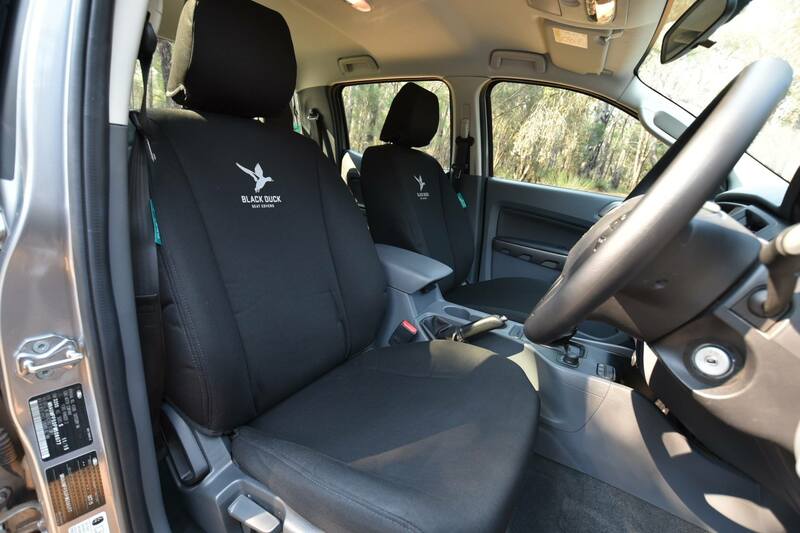 Miller Canvas are one of Australia's leading online retailers of Black Duck Canvas and Black Duck Denim Seat Covers suitable for Toyota Hilux Dual Cab & Xtra CAB, SR - SR5 & WORKMATE.